Our romantic cruise down the Rhine was now abruptly over due to the crash. There was a gash in the side of the Viking River Cruise boat, and it could not continue. We were now in Strasbourg and were about to spend a few days there. But, if you are going to be stuck someplace in Europe, Strasbourg is a pretty good place. The city is gorgeous. We continued on with trying the local food and wandering around the town. The leaves were changing color and the town is surrounded by a canal, bordered by half timber houses and lots of trees, so it looks beautiful in the fall. Thank you!! 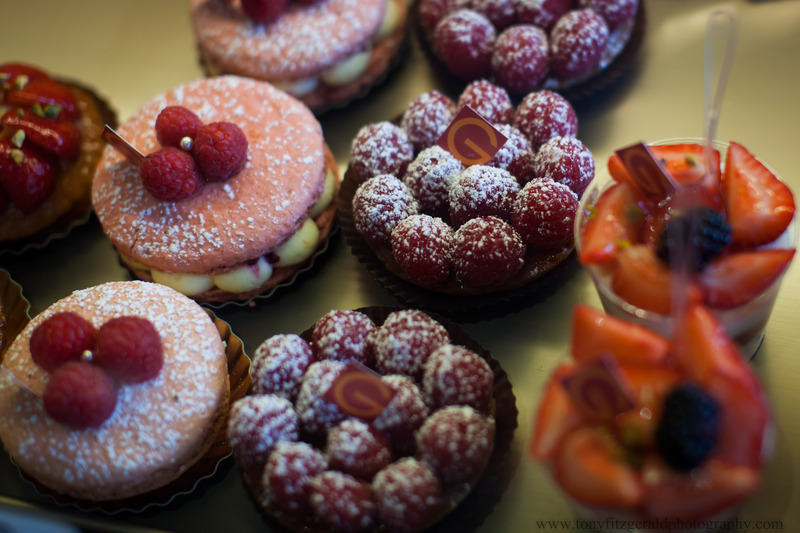 I especially like the picture of the French tarts – because I ate one!